Joomla is an easy to use content management system (CMS) that can ease the process of running a website or blog. Joomla is the second most used CMS on the web, right behind WordPress in popularity. 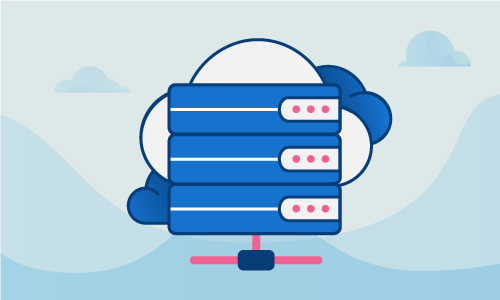 It has the shortest average delay between updates out of the three major CMS platforms (WordPress, Joomla and Drupal), making it one of the most secure choices for hosting a website. Written in PHP, Joomla runs on a LAMP stack and is extensible using the thousands of free extensions available online. The code is open-source and licensed under the GNU General Public License. • 1 Node (Cloud Server or Dedicated Server) running CentOS 7. Joomla needs certain PHP modules to be installed. You can find these in the EPEL repository. Add the EPEL repository to your system if you don’t already have it and install the following modules. Next, create a database and user that your CMS will use to store your website data. Now you can download the CMS. Make sure to unzip it into the Document root directory. Change the permissions of the Document root directory in order that Apache, and thereby your web users, can access it. In order for Apache to recognize the new modules and permissions, you will have to restart its daemon. This online setup is where you can change your site name and description. You can also set the admin username, password and contact email here. When installation is complete, for security reasons you must remove the installation directory. Now that Joomla is installed, be sure to keep current with the latest security updates as they are released. Whatever kind of site you decide to host, enjoy the easy moderation and versatile extensibility that comes with choosing Joomla as your CMS solution. If this guide was helpful to you, kindly share it with others who may also be interested.